RJ Super Speciality Hospital has created fully equipped cardiac department which includes modular Cath. Lab with inter connected Critical Care Unit at one end & Non Invasive cardiology services at other end. In near vicinity there is a latest and equipped cardiac Operation theatre. Modular operation theatres, Post-Op area, labour rooms and NICU are also on the same floor along with Doctors rooms. RJ Super Specialty Hospital is a 125 bedded Multi- Super Specialty Hospital managed by Shri. Rajesh Joon under proprietorship firm (Regd. No. ADRPJ5828RSD003). It is located at Delhi – Rohtak Road, Near Rajesh Joon Office, Bahadurgarh, Dist. Jhajjar, Haryana. It has five storied building and is easily accessible by road and metro. It serves the population of Sampla, Jhajjar, Badli, Kharkhoda, Jharoda, Kanjhawla, Bawana, Tikri etc. Radiology department, Lab Services & OPDs are situated on same floor with dual entries to make convenient traffic flow of OPDs. Sooner or later a modern Blood bank is planned on same floor. 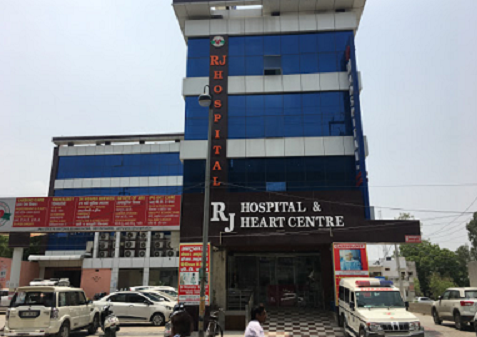 RJ Super Speciality Hospital provides OPD Services in Medicine, Paediatrics & Neonatology, Paediatric surgery, Gynaecology & Obstetrics, Dermatology, Psychiatry, General and Laparoscopic Surgery, Orthopaedics, Urology, Neurology and Neurosurgery, Cardiology, Nephrology, Dental, Ophthalmology, ENT, Respiratory & Chest Disease, Physiotherapy etc. It has 24 hours Emergency & In-patient services. Well equipped laboratory, X-Rays (Digital), Ultrasound, CT Scan, ECHO, TMT and Colour Doppler facilities are available round the clock. RJ Super Speciality Hospital has Economy class, Semi private rooms, Single AC rooms, Semi-Deluxe and Deluxe rooms with NICU, ICU and CCU facilities. Well qualified, experienced and reputed consultants in all specialties are attached to this hospital as full timers and visiting mode. Each area (Emergency, OPD & IPD) is being managed by adequate number of qualified and experienced nursing staff who provide high standard of nursing care to the patients. 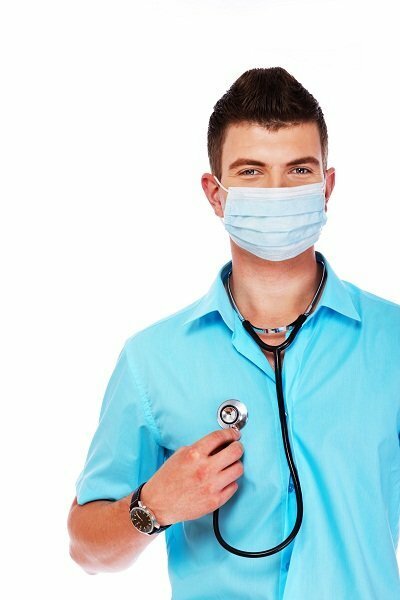 Experienced Resident doctors are available round the clock in Emergency, ICU, CCU and wards to extend immediate and high level of patient care as pet the advice of our consultant. Reception has a huge hall with sitting capacity of 70-80 persons. OPD is spacious with comfortable sitting arrangement. The Hospital has wide stairs and lifts for patient transfer. 24 hours emergency services are provided to take urgent care of critically ill patients. Emergency room has all the lifesaving drugs and resuscitation equipments with Vitals sign monitors and oxygen supply. Light and minor procedure room with mobile light and minor procedure set is attached with the emergency room. Hospital has 24 hours ambulance (BLS) services, ACLS Ambulance is available on call under out sourced contract. Ambulance has enough stock of emergency medicines, injections, intravenous fluids and oxygen. Hospital has a 24 hours pharmacy on ground floor which caters OPD as well IPD. Hospital has its own kitchen on 4th Floor who serves nutritious hygienic food to all In-patients and Hospital staffs. Food for patients is designed under supervision of an experienced dietician. High standard of drinking water supply and provision of sanitation is designed as per the requirement. Security of the hospital properties and hospital staffs is ensured by professional security personal. Patient safety measure is also ensured by high level of training which is planned as per standard.